In March 2001 the Petrobras 36 Oil Platform (P-36) was the world’s largest floating oil production platform, operating 130 km (80 mi) off the Brazilian coast in the Roncador Field. Tragically, by the end of the month it was floating no more. The platform had started life as the drilling rig Spirit of Columbus, before being reflated as a production platform. It was a semi-submersible with two pontoons that supported four large columns. They in turn carried the main deck with its production facility. Although capable of processing 180,000 barrels of oil per day, P-36 was operating at less than half capacity. Just after midnight on March 15, less than a year after production had begun, an emergency drain tank in the starboard aft column ruptured due to excessive pressure. Water, oil and gas flooded in. The emergency firefighting team rushed to the scene, but 17 minutes later dispersed gas caught fire, causing a major explosion that killed ten crew members. P-36 had become a dangerous place to be and a full-scale evacuation began almost immediately. 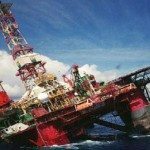 By 06.00 all 165 surviving crew members had been lifted off, two hours before the stricken rig suddenly tilted by more than 15 degrees. But the owners weren’t about to abandon their valuable baby without a fight, and attempts were made to stabilize the damaged platform. Salvage teams pumped nitrogen and compressed air into the submerged pontoon, but bad weather hampered their operations. On March 20 one final effort was made, but it was all in vain. At 05.30 that morning the inclination reached 31 degrees and P-36 continued to topple. By 09.00 the angle was 45 degrees and at 10.45 34,600 tons of metal worth $350 million – plus 1,500 tons of crude oil – started the 1,375 m (4,500 ft) journey to the bottom of the Atlantic Ocean. Death toll: 11 of the rig’s crew of 175 were killed – ten in the explosion and one who died of severe burn injuries after being evacuated. You should know: The accident enquiry showed that P-36’s emergency response teams were not properly trained – or equipped – to deal with any eventuality. They didn’t have the portable gas detectors that would have enabled them to monitor the threat… and perhaps prevent any loss of life. A vast area in the marshy lowlands of Las Marismas, around southwestern Spain’s Guadalquivir River, was designated as a wildlife refuge and national park in 1963. Donana National Park became a UNESCO World Heritage Site in 1994, but not before suffering persistent threats to its unique ecosystem caused by water extraction for agricultural irrigation and burgeoning coastal tourist facilities. Four years on, this unique area faced an even more severe threat – a massive spill of mining waste from a storage lagoon at the Los Frailes lead-zinc mine operated by the Swedish-Canadian Boliden company at nearby Aznalcollar. A dam wall collapsed, sending millions of cubic meters of concentrated zinc, lead and cadmium sludge into the River Guadiamar, a tributary of the Guadalquivir that flowed through Donana National Park. 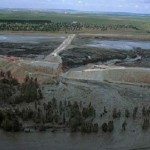 This toxic cocktail polluted a 60 km (37 mi) stretch of the river, killing all aquatic life, depositing lethal heavy-metal waste in wetlands, polluting wells, permeating ground water, ruining farmland and destroying standing crops. Boliden inevitably claimed that the disaster could not have been foreseen, though it probably happened because pollution fines were so low in Spain that it was cheaper to let things happen than take expensive remedial action. This theory is supported by the fact that a report commissioned by the company two years earlier identified the failed dam’s weakness. After the event, contributory factors such as unsuitable subsoil and blasting at the opencast mine were identified. But whatever the cause, its effects were disastrous and despite a 250 million euro clean-up it will take four decades for the polluted area to recover fully. However, there was a silver lining. The rapid construction of an emergency dam across the River Guadiamar prevented any toxic waste contaminating Donana National Park’s fragile ecology, which therefore remained undamaged by this avoidable disaster. You should know: In 2000, without giving any advance warning, Boliden abruptly abandoned its mining activities in Spain, before filing for bankruptcy later that same year to avoid paying a hefty fine imposed by the out-of-pocket Spanish government. Becoming a miner in South Africa during the 20th century was a dirty and dangerous case of needs must. With a chronic lack of alternative employment, a workforce of black miners came from all over the country to live in dormitories and earn modest wages that nonetheless meant survival for families left behind. Sadly, many never returned to their loved ones, as around 70,000 were killed in mining accidents between 1910 and 2000. In May 1995 over 100 of that total perished at the Anglo-American Corporation’s Vaal Reefs Mine near Orkney, southwest of Johannesburg. Even a nation hardened to mining tragedy was horrified by the gruesome disaster at one of South Africa’s largest and most profitable gold mines. Miners had finished their shift in the sweltering depths of the 2.3 km (1.4 mi) Shaft Number Two and were returning to the surface in an elevator cage. High above, their fate was sealed when an underground train entered a tunnel that was supposed to be closed, went out of control and careered into the shaft. The falling train hit elevator cables, sending the cage plunging downwards in free fall. A second after it hit bottom, the heavy locomotive smashed into the already compressed cage and further reduced the substantial two-tier structure to what the President of South Africa’s National Union of Mineworkers (NUM) later described as ‘a one-floor tin box’. The occupants were pulverized, body parts were scattered everywhere and identifying individuals proved to be a long and distressing process. Two days after the accident a representative of Anglo-American grimly told a press conference: ‘The bodies are badly mutilated, it’s hot and they’re beginning to decompose’. The NUM established a trust fund for dependents of victims, who were located as far apart as the rural areas of Lesotho, Transkei, Swaziland and Botswana. You should know: The one person who did actually survive the catastrophic accident was the driver of the runaway train, who managed to jump clear before it toppled into Shaft Number Two and fell towards the rapidly ascending elevator cage. Anyone who wants to damage the largest possible number of people in the shortest possible time could find few better methods than sipping a large amount of poison into the public water supply system. That’s not actually what happened at South West Water’s unmanned Lowermoor Water Treatment Works in North Cornwall, but the incident that ocurred in July 1988 is still regarded as Britain’s Worst-ever breach of water-quality guidelines. There was no malicious intent, and the compound that went into the drinking water – far from being poisonous – was actually aluminum sulphate, a chemical that helps to purify water by solidifying particulate matter. But it is applied in minute quantities compared to the amount of water being treated, and a delivery driver accidentally dumped 20 tons of the stuff into the wrong tank. 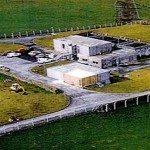 This resulted in a massive overdose of aluminum sulphate entering Camelford’s water supply – over 3000 times the maximum permitted amount, a concentration that stripped all sorts of other chemicals from lead and copper piping as it went. Though residents quickly started complaining about acidic water quality, it was two days before the problem was identified and action taken to prevent 20,000 users suffering additional exposure. Public anger erupted, along with claims of mismanagement and even cover-up. People immediately started suffering from all sorts of symptoms, from hair turning blue, through acute skin irritation to sore throats and short-term memory loss. As time went on, many developed severe joint complaints and even brain damage. As always in these cases, where official enquiries tend to rule that there’s no proven link between cause and effect, the Lowermoor Incident Health Advisory Group concluded that there had been real suffering by the community, but decided it had been caused by anxiety rather than genuine physical ill-effects. Toll: Studies continue into the long-term health implications of the Lowermoor pollution, as public perception (and considerable scientific opinion) suggests that the metallic chemical cocktail ingested in 1988 may eventually lead to the premature development of assorted but serious medical conditions. You should know: South West Water was prosecuted and fined £10,000, plus £25,000 in costs. 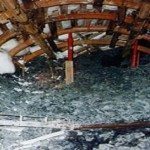 But they didn’t get off that cheaply, in 1994 – 140 victims were awarded compensation totaling £400,000 for documented injuries caused by the incident. The discovery of North Sea oil and gas was a boon to Britain. Piper Alpha made a productive contribution. Originally an oil platform, it was later modified for gas production and consisted of four safety modifies separated by firewalls. In July 1988 Piper Alpha was producing ten per cent of the North Sea’s annual production. The revenue amounted to millions of daily dollars, but events soon proved that harvesting black gold from beneath the sea could exact a terrible price. Two pumps on Piper Alpha compressed gas for onward transmission, but on July 6 Pump As safety valve was removed for maintenance and the open pipe sealed with a metal plug. At 21.45, Pump B failed. Supply had to be maintained at all costs and control room staff tragically failed to find the written notification that Pump A was out of commission. They started it at 21.55, immediately initiating a major leak through the temporary plug. The gas ignited, causing an explosion that demolished safety walls built to withstand fire only. The control room was abandoned an events ran out of control. A second explosion rocked the platform at 22.20, intensifying the blaze. The Tharos rescue and firefighting vessel drew alongside at 20.30, only to be driven off as the second gas line went, creating a massive fireball. The crew were either sheltering in the fireproofed accommodation block or leaping desperately into the sea, but the end was nigh. At 23.50 most of the platform collapsed into the sea, the rest soon following. As dawn broke, all that could be seen above the sullen swell was the skeletal remains of one module, its top still burning. Of 226 people on the platform that fatal night, fewer than a third survived the world’s worst offshore oil disaster. 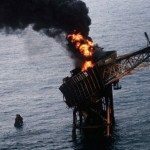 You should know: The initial fire on Piper Alpha would have burnt out and the death toll been greatly reduced had the platform not been a staging point for pipelines from the Tartan and Claymore platforms. The cost of shutting these down was so great that both continued pumping into the heart of Piper-Alpha’s fire, creating an unstoppable conflagration that destroyed the rig and cost the lives of so many crew members. The catastrophic nuclear disaster the world had long feared finally happened in 1986 at the Chernobyl plant in Ukraine. 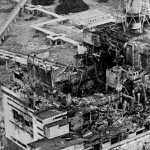 Reactor number four exploded early one morning in April, sending a vast plume of radioactive fallout into the atmosphere. This would contaminate large areas of the western Soviet Union and Europe, with nuclear rain being recorded as far away as Ireland. The initial power excursion (nuclear chain reaction) was followed by further chemical and gas explosions, then fire. Unlike those in most Western plants, the reactor building was not a reinforced containment vessel designed to limit the effects of just such an accident. It was therefore destroyed, allowing disastrous quantities of radioactive material to escape. Yet this was an accident that could have been avoided. Ironically, the catalyst was an experiment carried out to test reactor safety. Operators were worried that a power failure might result in the reactor core overheating, as vast quantities of cooling water were required and standby generators didn’t get the pumps back up to speed for over a minute. They therefore decided to test whether an emergency core-cooling procedure would work should such a situation arise. Had regulations been followed there would have been no problem, but safety features were disabled in order to complete the test. This decision proved fatal. After complex set­up procedures were completed, the test commenced but within seconds the core went critical and a powerful explosion rocked the plant. The aftermath was horrific, though Soviet authorities initially tried to conceal the scale of the disaster. The town of Prypiat was evacuated the following day and remains a deserted time capsule. The accident site was contained within a vast concrete sarcophagus at the center of the 30 km (19 mi) exclusion zone around Chernobyl that is in force to this day. Death toll: Over 200 people suffered acute radiation sickness in the immediate aftermath of the explosion, of whom 31 died within three months. The total number of deaths directly attributable to the accident was 56, mostly irradiated rescue workers but including some children who died of thyroid cancer. The number of premature deaths to be expected from related diseases was estimated at 5,000. You should know: The radioactive fallout from the disaster at Chernobyl was 400 times greater than the amount released by the atom bomb dropped on Hiroshima at the end of World War ll.